I have tons of empty egg cartons sitting around and decided it was time to use some of them! 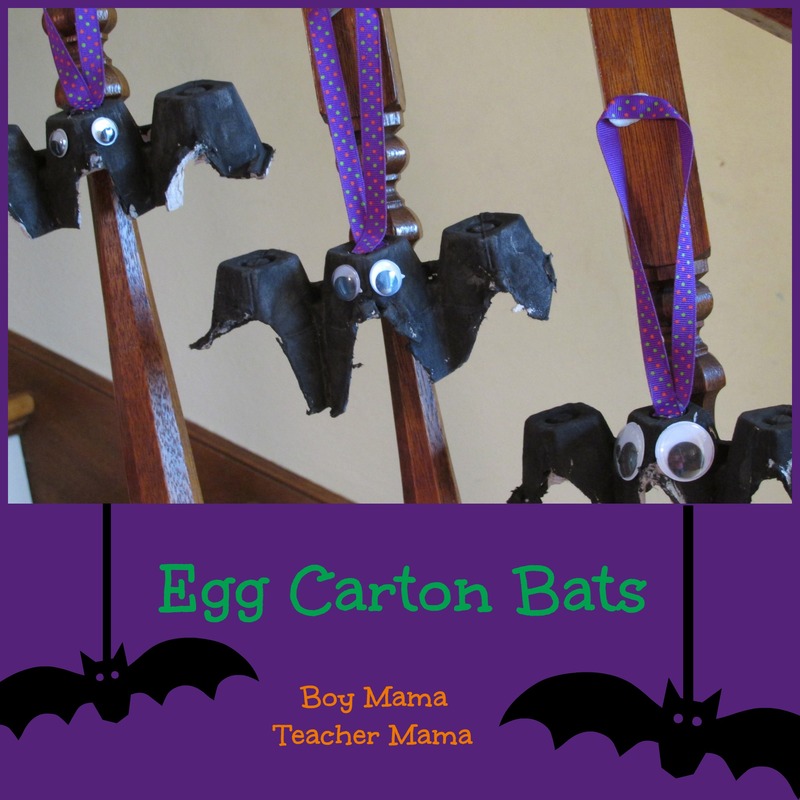 Keeping with the season, I decided we would make some egg carton bats. I have seen a few different versions of egg carton bats out there, but this is our take on it. 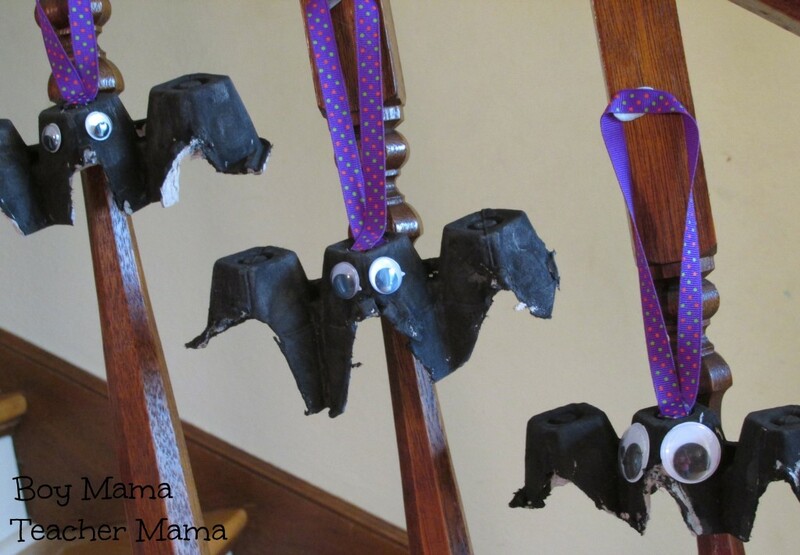 Making the bats is simple! 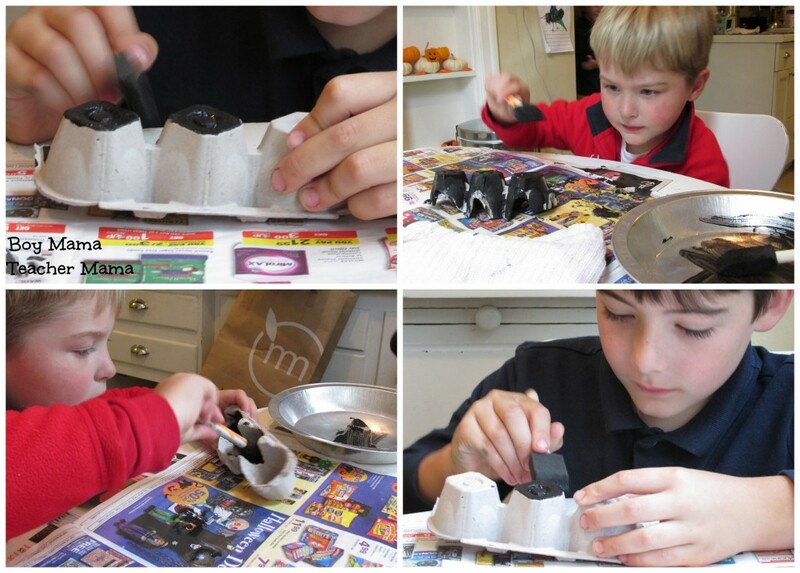 Paint the egg cartons black and allow to dry. 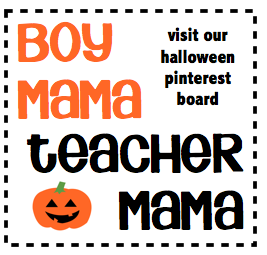 Then add the googly eyes. 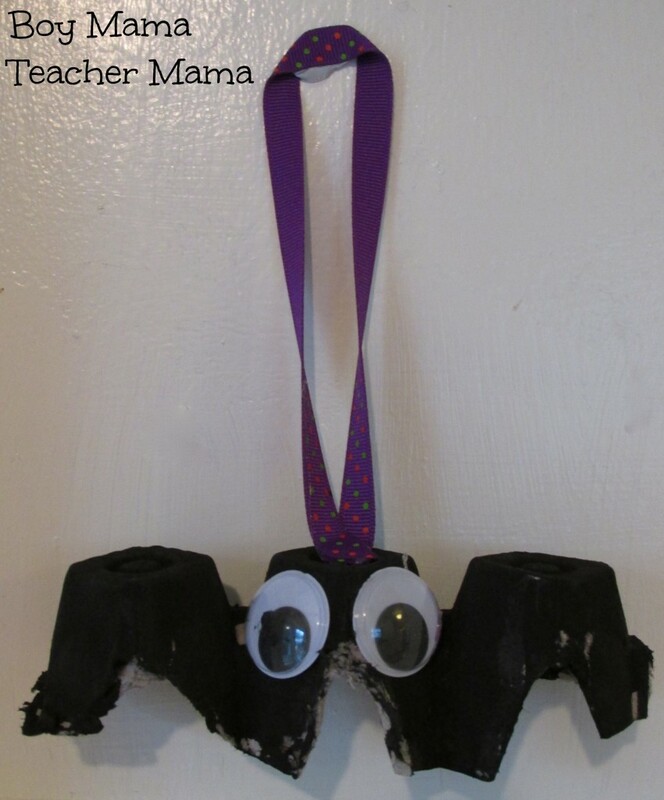 If you do not have sticky back eyes, glue the eyes to the carton with a hot glue gun or Elmer’s Glue. Cut a piece or ribbon or string, fold it in half and hot glue it to the top of the bat.